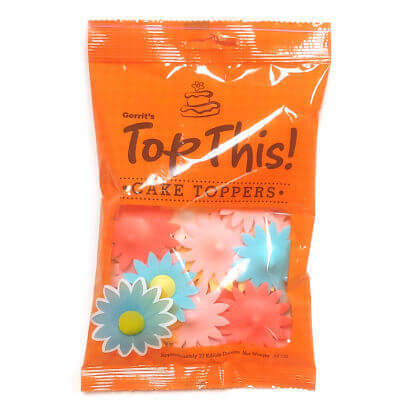 New edible cake toppers is festive daisy shape. Approx. 17 daisies per bag and 1.75 inches across. Made in England. Texture is similar to the satellite wafer shell. Net weight .18 ounces.